Your order will be shipped via the Japan Post. Business days are Monday through Friday, we are closed over the weekend. All items are made to order and will ship within 2 business days(most parcels are dispatched within 24 hours). Do you have enough stock for items? Yes, we have plenty of stocks for all items that listed. We are not currently accepting personal custom projects due to busy annual schedule. Business customer, please contact us. Every item we make comes in a plastic bag wtih gift seas says"Best Wish". Some items($30 or higher) comes with black nylon bag. If you’d like to add a little extra personalization to your gift we offer a small gift notes. Personalize your gift note with a short message of up to 200 characters. What kind leather do you use ? We use 100% cow hide genuine leather. Vegitable tanned by skilled tanner in Japan. Who and where do you make items ? 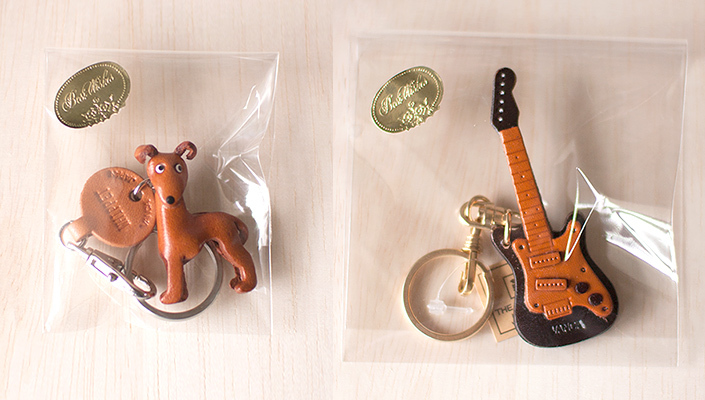 All items are handcrafted by craft man trained for years at our craft studio in Chiba, Japan. about us. If you’d like we are more than happy to send a proof of how your text will fit on the item you have purchased. Please send an email to :info(at)handcrafted-leather.com with your order number and I can send a quick proof.